You must be a member of the Madrid Electronic Music Group to attend this activity. Would you like to join this group? DISCLAIMER : Protected content is a VERY crowded place, with a very loud electronic techno music played during at least six hours. Therefore, it is not the perfect place to socialize and meet with new people. It is only about MUSIC and its vibrations ;) If you feel strong enough to cope with that, you are more than welcome !! If you feel to taste Mexican food with us, please join from 20:30! 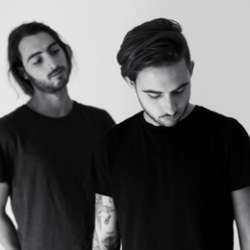 Mind Against is a Berlin-based electronic music duo consisting of Alessandro and Federico Fognini. The project is born in Protected content in Protected content recorded and released their first record “Cagliostro” on breakthrough label Life and Death. In Protected content duo has also composed remixes for WhoMadeWho, Róisín Murphy and Pillowtalk, some of which in collaboration with label-mates Tale Of Us, on labels such as Kompakt, Cocoon and aforementioned Life and Death. While heavily influenced by IDM and with clear roots in techno and house, in most of the cases their sound cannot be easily related to an established genre. An exact meeting point will be given some days before the event! Glad to meet there !